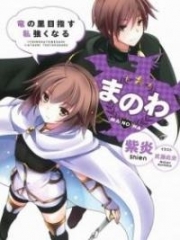 You’re reading novel Chaotic Sword God Chapter 1499 online at LightNovelFree.com. Please use the follow button to get notification about the latest chapter next time when you visit LightNovelFree.com. Use F11 button to read novel in full-screen(PC only). Drop by anytime you want to read free – fast – latest novel. It’s great if you could leave a comment, share your opinion about the new chapters, new novel with others on the internet. We’ll do our best to bring you the finest, latest novel everyday. Enjoy! A few seconds finally past while Jian Chen nervously watched. He sensed the familiar and powerful force surge out of the Fortune Jade Seat and push Bi Yuntian off. Jian Chen obviously knew that Bi Yuntian was not fated to learn the Anatta Grand Prime's legacy after he was unable to accept it after his own attempts. As he sighed in relief, he also felt slightly depressed. Bi Yuntian opened her eyes and immediately looked around after having been pushed off the Fortune Jade Seat. Her gaze was filled with caution, but when she discovered that there was no one else present apart from Jian Chen's group, she became surprised and was filled with doubt. "Xiang'er, I think I just heard someone talk," Bi Yuntian said to Jian Chen. Jian Chen smiled, "Mother, that was the voice of a peerless senior and was left behind several years ago. In reality, this senior has already been dead for many years, but before he pa.s.sed away, he left behind his legacy in the Fortune Jade Seat. Those who are not fated to obtain it cannot gain it." Bi Yuntian nodded. She then turned to Bi Hai, "Great-grandfather, you should try too to see if you can obtain this senior's legacy." Bi Hai laughed and glanced at Bi Yuntian, Jian Chen, and Bi Lian tenderly. His gaze was filled with the affection of a senior to his juniors. He said, "How can I use up a chance at a peerless senior's legacy before you juniors? Great-grandson Jian Chen's talent is supreme, and he cultivates at a shocking speed. You've already become the greatest expert among the humans, so I think this legacy doesn't catch your eye. Lian'er, come. You try first to see if you're fated with this peerless senior." "Great-grandfather, sister You Yue is brother's fiancee. She should go first. If she doesn't go, how can I go?" Bi Lian pouted and replied in dissatisfaction. You Yue wore a white dress as she stood there with a straight back. She gently smiled, making her seem n.o.ble and graceful. She said with a gentle voice, "Sister Bi Lian, I practice the cultivation method of fairy Hao Yue. It may not necessarily be as great as this senior, but it's still extraordinary. Only your cultivation method is rather ordinary, so why don't you go first?" "This…" Bi Lian hesitated. 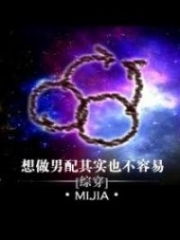 Inside, she hoped that You Yue could obtain the senior's cultivation method instead. This was not only because of how close they were, but more importantly, You Yue was her brother's fiancee and a chance at this legacy came from her brother. You Yue was obviously supposed to attempt to obtain the legacy before her. When Jian Chen saw Bi Lian hesitate, he said "Lian'er, you go try. This senior's legacy isn't that easy to obtain. It doesn't matter who goes first because it's likely that no one here will obtain it." "Alright, I'll go sit there since you've said so yourself." Bi Lian smiled sweetly and sat on the Fortune Jade Seat. A few seconds later, the powerful and gentle force appeared once again, pus.h.i.+ng Bi Lian off. Bi Lian opened her eyes and said with some helplessness, "Brother, I'm also not fated with that senior, but I just wonder whether this senior is a human or a beast, or feminine or masculine. Why does this senior's voice sound so odd? It sounds like everything." "This is a voice that contains all the sounds of the world, so you'll you'll hear whatever you think it is," Jian Chen explained with a smile. His gaze possessed some adoration. Afterward, Bi Hai, Dugu Feng, and Nubis all sat on the Fortune Jade Seat, but they suffered the same outcome as everyone else. None of them possessed the right to obtain the Anatta Grand Prime's legacy. In the end, Jian Chen got You Yue to try as well, but she failed to obtain the Anatta Grand Prime's recognition. Even though Jian Chen had expected this long ago, he still found it difficult to not sigh when reality was placed before him. "An eighty percent comprehension of laws is enough for you to become a Grand Prime, yet the Anatta Grand Prime has comprehended the Laws of Fire, Creation, and Destruction to a hundred percent. The sword spirits once said that the Anatta Grand Prime was so powerful that he ranked within the top three in the Saints' World. Only the greatest expert of the Saints' World, the Grand Prime of the warring G.o.ds, who even stood above the Nirvanic Immortal Exalt, could overpower the Anatta Grand Prime. The legacy of such an impressive expert obviously will not be easy to obtain. Perhaps only people fulfilling certain aspects can obtain it," Jian Chen thought before bringing everyone outside the tower. Jian Chen pressed his hand against the tower outside and used his mind to shrink it back into the size of a thumb, which then disappeared into his palm. He then turned to everyone and said, "You leave first. I have to go to Longevity Valley immediately. Little Fatty's father has pa.s.sed away." "Jian Chen, let me come with you." You Yue gently glanced at Jian Chen. Jian Chen nodded. Inside, he always felt indebted to You Yue. There were many princesses of the Gesun Kingdom who had married and given birth long ago. Some of the princesses even had grandchildren. Only she was still engaged. Nubis opened his mouth. He originally planned on going with Jian Chen, but after hearing what You Yue said, he immediately dismissed the thought. He sn.i.g.g.e.red, "Jian Chen, I'll go play around with the two female servants I just accepted, so I'll be leaving first." With that, Nubis left. Bi Lian, Dugu Feng, and Bi Hai all returned to Flame City after bidding farewell to Jian Chen. Bi Yuntian returned to the artifact s.p.a.ce to cultivate. In the blink of an eye, only Jian Chen and You Yue were left at the bottom of the valley. A streak of violet light rushed into the sky from the bottom of the valley. It shot through the air like a bolt of lightning, disappearing into the horizon. It moved extremely quick. Within the dazzling light was a twenty-meter-long sword. Jian Chen currently held You Yue by her thin waist, to stabilize her and prevent her from falling off. The Zi Ying Sword flew very fast, causing the surrounding landscape to be reduced to a blur, impossible to see with the naked eye. However, even if the landscape was visible, You Yue would not have been interested in appreciating it. She currently stood with her eyes closed and a happy smile on her face, gently resting her head against Jian Chen's chest. This was a time when only the two of them were present. These were the best and sweetest moments to You Yue. After over a decade of painful waiting, she had finally obtained a chance to be with Jian Chen. You're reading novel Chaotic Sword God Chapter 1499 online at LightNovelFree.com. You can use the follow function to bookmark your favorite novel ( Only for registered users ). If you find any errors ( broken links, can't load photos, etc.. ), Please let us know so we can fix it as soon as possible. And when you start a conversation or debate about a certain topic with other people, please do not offend them just because you don't like their opinions. You're reading Chaotic Sword God Chapter 1499. This novel has been translated by Updating. Author: Xin Xing Xiao Yao already has 2683 views. Current Time is Apr-21-2019 05:03:33 AM.